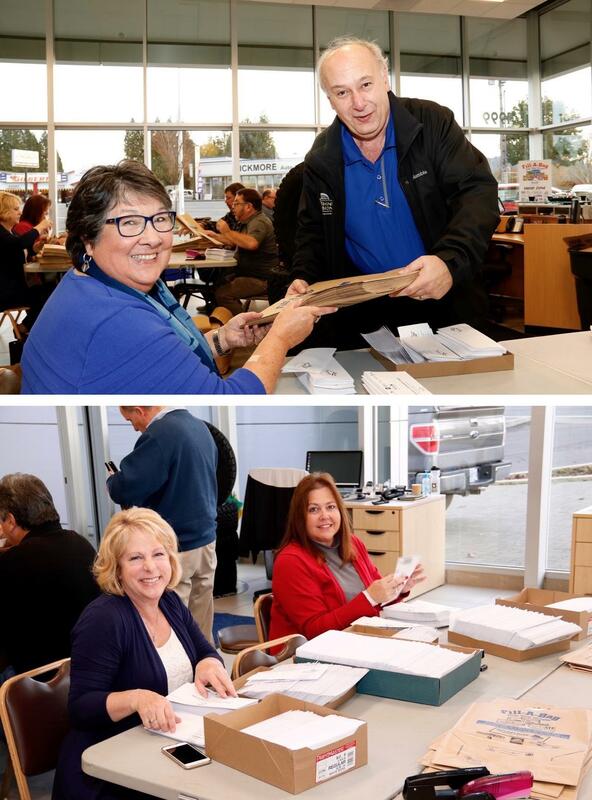 Thursday November 3rd Rotarians pitched in at Gresham Ford to get ready for the Fill-a-Bag project. Lots of staples (and probably a few paper cuts) later, the bags are ready for this year's event. Also in attendance but not pictured here: Curt Mettler, John Harold, Bob Avila, and Chuck and Sandi Hawkins. Fill a bag is the largest annual food drive for SnowCap Remember that last year the Fill-a-Bag ended up raising over 500,000 lbs of food for SnowCap to distribute to those in need. Fill-A-Bag campaigns of the past years have not only provided much-needed donations of food and cash to keep SnowCap’s pantry stocked, they have raised awareness of hunger in East County and proven that communities can make a difference when they work together! See the listing of Participating Businesses, Clubs, & Churches below for where to drop off your donations. Please keep an eye out for more information on this event or get information from the SnowCap website.